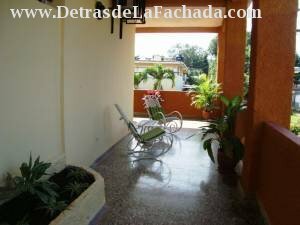 LOOKING FOR PRIVACY AND QUIETNESS IN HAVANE? THE PORCH is what you need. 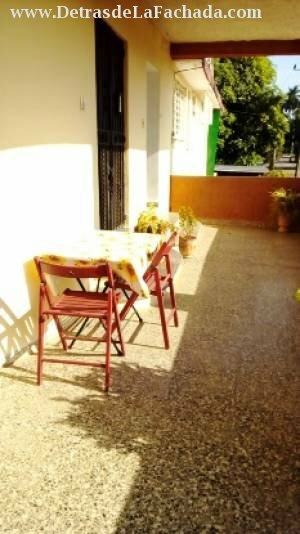 It’s one studio’ (40m2), with independent, entrance, huge terrace. All brand new and functional, very luminous and ventilated. 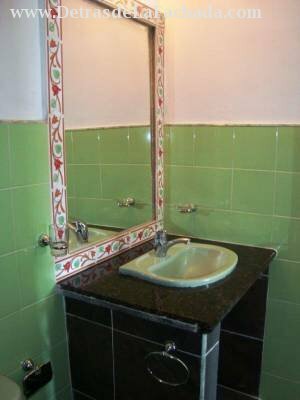 A spacious room with kitchenette equipped with kitchen tools and refrigerator, bathroom, hot and cold water, air conditioning Split, safety box, telephone, TV, DVD and garage. 110 and 220V Wi-Fi . 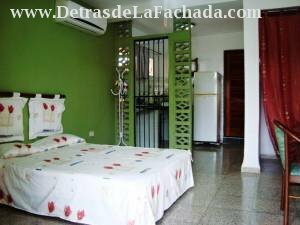 Located, at 20 minutes walk from the Business Center and the hotels Comodoro and Melia Habana. In the neighborhood various private restaurants and shopping centers, as well the Club Habana if you feel for a swim or Marina Hemingway. Good connections with Old Havana, Vedado and Centro Habana. Tariffs: 20CUC per night. For stay longer than 7 days price can be negotiated.